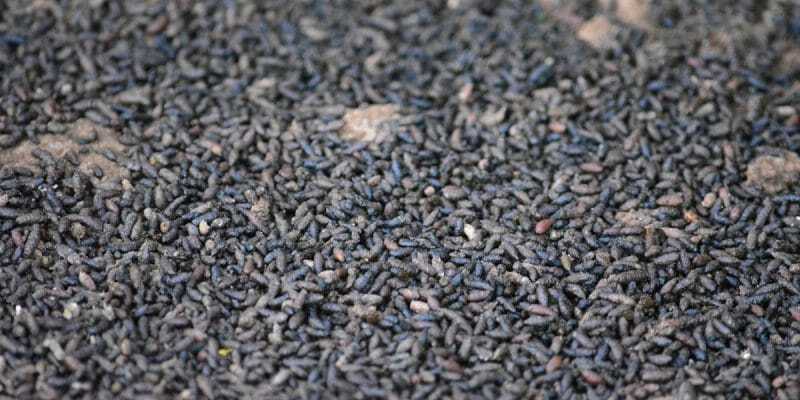 Since 2010, Guanomad, a Malagasy company, has been extracting and selling bat droppings, called guano. The fertiliser is 100% organic and effective in agricultural production. With an average production of 13,000 tonnes per year, the activity is proving to be a real success in rural Madagascar, the rest of Africa, Europe and soon in America. An unsuccessful candidate for the December 2018 presidential election in Madagascar, Erick Rajaonary, who ran as the rural candidate, returned to his true passion. Called “Batman”, this entrepreneur and accountant by training, has initiated since 2010, an original project that guarantees better agricultural production, while preserving the environment. His company Guanomad, in which he had invested €200,000, or CFAF 130 million, is engaged in the extraction and sale of bat guano. It is a natural fertiliser, 100% organic and African, formed by the denaturalisation of the droppings of these mammals, which are very numerous in the caves of Madagascar. The product is used in organic farming. Rich in potassium and nitrogen, it is suitable for all types of crops, including fruit trees and sugar cane, grass, tea and soil maintenance. According to local data, Madagascar is full of this natural fertiliser: up to 400,000 tonnes of bat guano. For Guanomad, which already had a turnover of around €990,918 in 2015, or 650,000,000 FCFA, it is grain to be ground. Today, the company exports 60% of the 13,000 tonnes produced each year. “Our products are already exported to several countries such as Canada, Europe and elsewhere in Africa. We are currently conquering the American and East African markets,” explains Erick Rajaonary. In addition to the economic and commercial aspect, Guanomad is focusing on Madagascar’s Green Revolution. In its fight against food insecurity, the development of the organic sector, rural development and environmental protection, the company’s contribution consists in raising awareness among rural stakeholders, producers in particular, of the use of selected seeds, the use of modern techniques and the use of organic fertilisers to ensure good production and environmental conservation.